Many thanks to Ola Marie Poché of Dallas, Texas for supplying these documents. 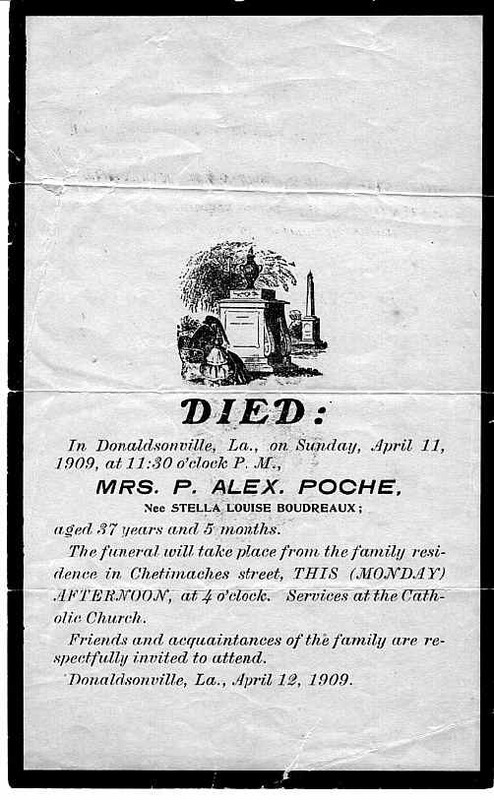 To the left, is a copy of the original funeral handbill which was commonly distributed to family and friends upon the death of a loved one. April 11th, 1909. The newspaper article explains the circumstances of her death.